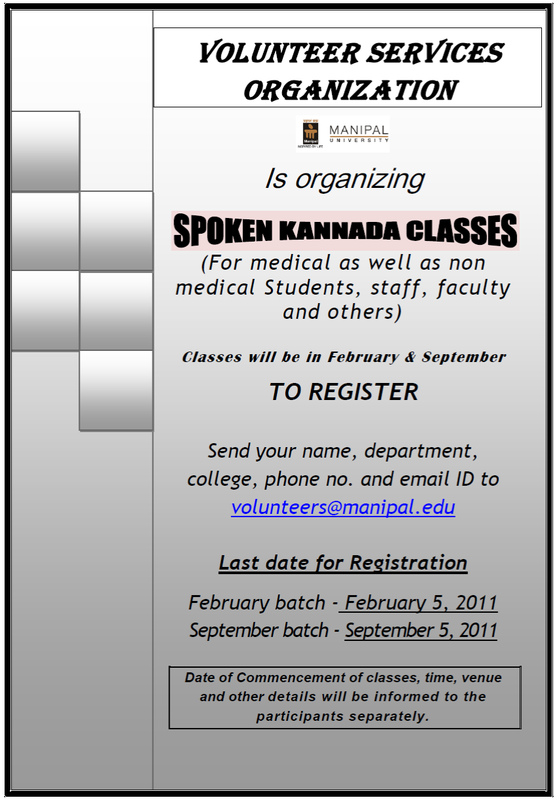 For all the people who find it difficult to interact with their patients because of the language barrier, the Manipal University Volunteer Services Organization is organizing Spoken Kannada classes beginning February. So if you are a medical or non-medical student, staff , faculty do register and learn a new language today. An ideal new year resolution, which will last with you throughout your career.